Our oil is made from 100% organic essential oils harvested with sustainable methods from local sources to our production facilities and infused with the Force. Keep your beard soft, shiny, manageable and prevent that dreaded beardruff!! Can be used on all hair or fur types! - Custom Item spawned at User\'s location! These 100% wroshyr wood combs are harvested from already fallen trees on Kashyyyk, hand carved, and infused with the Force by our Force Adepts! Keep your beard tangle free and help smooth your new FORCE FORGED Beard Oil evenly into it! Not just for your beard! Can be used to comb other hair types as well! Custom Item spawned at User\\\'s location! Our oil is made from 100% organic essential oils harvested with sustainable methods from local sources to our production facilities and infused with the Force. Keep your beard soft, shiny, manageable and prevent that dreaded beardruff!! This large gallon sized is for larger furry sentients! Custom Item will spawn at buyer\\\\\\\'s feet once approved. Beard Oil & Beard Comb! Includes 1 Beard Oil and 1 Beard Comb! Our oil is made from 100% organic essential oils harvested with sustainable methods from local sources to our production facilities and infused with the Force. Keep your beard soft, shiny, manageable and prevent that dreaded beardruff!! Can be used on all hair or fur types! A customized, stocked, Sprint, that is ready to fly. Located in system at the Mecrotica Trade Hub @ -80, -80 in the Phu sector. All sales are subject to the shops terms and conditions, as well as the DoTs terms and conditions. Proudly produced by Viraxo and Xuchpra, then brought to you by Mecrotica. Custom Sprint w/more Med Supplies! 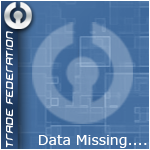 Items will be crated and placed inside a cargo container located at the Mecrotica Trade Hub at Galactic Position: (-80, -80), System Position: (10, 10). Once credits are received and the order packaged, we will make over the order and add the buyer or their representative to the crewlist of the container. Pick-up is requested within sixty (60) days. 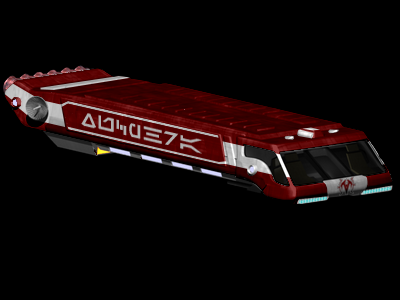 We sell affordably priced Pursuer-class Enforcement Ships for your longer storage needs. http://dot.swc-tf.com/view/browse.php?listing=10922 See shop terms for details. All sales are subject to the shops terms and conditions, as well as the DoTs terms and conditions. Proudly produced by Viraxo and brought to you by Mecrotica.